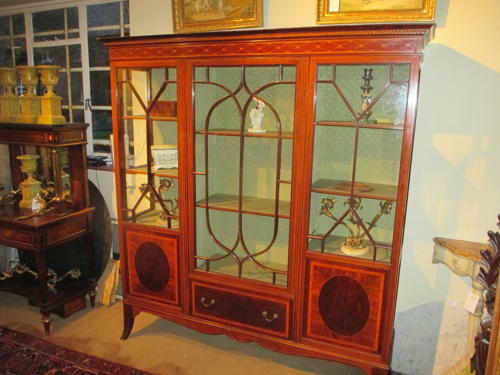 A very nice quality mahogany display cabinet, having three astragal glazed doors, and drawer beneath, with extensive inlay and satinwood cross banding, with ovals and boxwood stringing to the doors all on splay feet with a shaped apron. Good colour ( rather better than my photograph!) and excellent condition.